Carol Wanda Malanga, 75, passed away peacefully, with her loving family by her side on Monday February 4, 2019 at her home in Myrtle Beach, South Carolina. She was born on November 24, 1943 in Newark, New Jersey to the late Carmine Peter Barletti & Estelle Mary Rees Barletti. 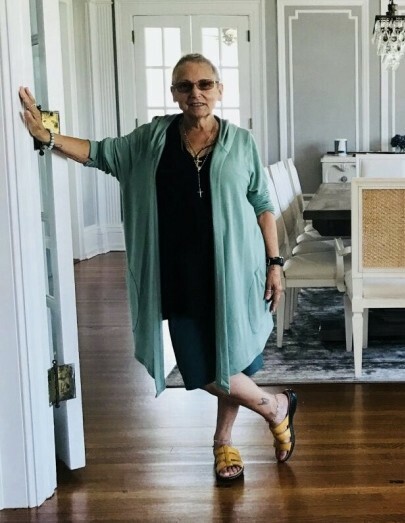 Along with her parents, Carol is preceded in passing by her daughter, Nadine Malanga; sister, Wanda Ann Malfitano; as well has her mother & father in-law, Mr. & Mrs. Gerard Malanga. Carol relished the simple things in life. She loved to play card games and listen to all genres of music. Having an eye for beauty, Carol enjoyed art in many media including ceramics and painting. Above all else, Carol loved her family. Left to cherish Carol’s memory are her beloved husband and soulmate of 55 years, Mr. Victor Malanga of Myrtle Beach, SC; their son, Victor Malanga, his wife, Dana and their children, Max, Zac, Sam, & Ray; daughter, Loren McCreash her husband, Jeff and their children, Maggie & Ellie; son Peter Malanga his wife, Melissa and grand-dog, Bolo; Carol’s treasured and constant k-9 companion, Brandie; as well as loving family and friends both near and far. The family wishes to acknowledge the heartfelt care and compassion expressed to them by Mercy Care Hospice, St. Michael Catholic Church of Murrells Inlet, and all those who have reached out with words of comfort or acts of kindness during the families’ time of bereavement. A Celebration of Carol’s life will be held on Friday February 8, 2019 at 12:00PM at St. Michael Catholic Church, 572 Cypress Ave. Garden City, SC 29576. Inurnment will immediately follow in the church columbarium. At the request of the family, memorial contributions in Carol’s name may be made in lieu of flowers to the Grand Strand Humane Society, 3241 Mr. Joe White Ave. Myrtle Beach, SC 29577. Burroughs Funeral Home & Cremation Services of Murrells Inlet, SC (843-651-1440) is honored to be assisting the family.